Are like earthenware covered with silver dross. And he who rolls a stone will have it roll back on him. And a flattering mouth works ruin” (Proverbs 26: 23-28). Not since Hitler’s Third Reich, have we seen anti Semitism of this magnitude. After World War II, there was shame shown by most every nation over the mass slaughtering of the Jewish people in the death camps. Today, there is arrogance among most nations, who declare unapologetically their hatred for Jews and for Israel. They don’t even explain the reason for the hatred. The college campuses are filled with Jew hating professors and students. They cry out for the boycott of Israel. Many of these efforts to demean Israel have been organized by Islamic students, and are funded by none other than George Soros and The Muslim Brotherhood. Many decades ago, a young Jewish journalist was asked to write a book, exposing the truth about the Palestinian problem in Israel. Her name was Joan Peters. Miss Peters just passed away in January of this year. She was a liberal Jew, and when she first began her research on this subject, she fully expected to find and expose the narrative which had been promoted to be true. The narrative was that the Jews displaced a people (the Palestinians) when they came into their land in 1948. What she found was something entirely different. Joan Peters was an ethical person, and knew that she would ultimately write on the facts, even if the facts were not supportive of the story which her peers were sure she would uncover. I am posting a review on From Time Immemorial by Daniel Pipes from 1984. Dr. Pipes is the president of Middle East Forum, a website which presents a factual and fair look at the events happening in the Middle East. I encourage readers to find Daniel Pipes’ website, and go there often for truth. “Joan Peters began this book planning to write about the Arabs who fled Palestine in 1948-49, when armies of the Arab states attempted to destroy the fledgling state of Israel. In the course of research on this subject, she came across a “seemingly casual” discrepancy between the standard definition of a refugee and the definition used for the Palestinian Arabs. In other cases, a refugee is someone forced to leave a permanent or habitual home. In this case, however, it is someone who had lived in Palestine for just two years before the flight that began in 1948. 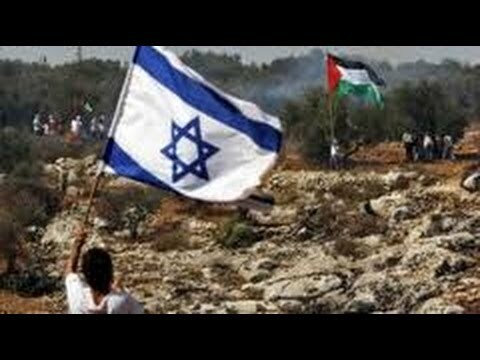 Arabs crowded into Palestine? As Miss Peters pursued this angle she found a fund of obscure information that confirmed Churchill’s observation. Drawing on census statistics and a great number of contemporary accounts, she pieced together the dimensions of Arab immigration into Palestine before 1948. Although others have noted this phenomenon, she is the first to document it, to attempt to quantify it, and to draw conclusions from it. Her historical detective work has produced startling results, which should materially influence the future course of the debate about the Palestinian problem. Before entering into the statistics and reports Miss Peters uses to put forward her argument, however, I should enter a word of caution about From Time Immemorial. The author is not a historian or someone practiced in writing on politics, and she tends to let her passions carry her away. As a result, the book suffers from chaotic presentation and an excess of partisanship, faults which seriously mar its impact. But they do not diminish the importance of the facts presented. Despite its drawbacks. From Time Immemorial contains a wealth of information, which is well worth the effort to uncover. The great variance in the figures usually gets obscured because the three regions are lumped together and counted as a single unit. Population in the whole area of Mandatory Palestine grew 178 percent in fifty-four years. This increase can be accounted for through natural reproduction alone; it therefore raises few questions. But 401 percent cannot be explained in this way, much less the vast difference in growth rates among the three divisions. How, then, to account for the varying rates? By the movement of peoples. Although the Jews alone moved to Palestine for ideological reasons, they were not alone in emigrating there. Arabs joined them in large numbers, from the first aliyah in 1882 to the creation of Israel in 1948. “The Arabs were moving into the very areas where Jewish settlement had preceded them and was luring them.” Arab immigration received much less attention because both the Turkish and British administrators (before and after 1917, respectively) took little interest in them. Under the latter, for instance, “there was not even a serious gauge for considering the incidence of Arab immigration into Palestine.” The return of Zionists to the land of their ancestors was a topic of nearly universal fascination, both positive and negative. Arabs crossing newly-established and artificial boundaries caught no one’s interest. As a result, officials in Palestine counted only a small percentage of the Arab immigrants. British records for 1934 show only 1,734 non-Jews as legal immigrants and about 3,000 as illegals. Yet, according to a newspaper interview in August 1934 with the governor of the Hauran district in Syria, “In the last few months from 30,000 to 36,000 Hauranese had entered Palestine and settled there.” In 1947, British officials had counted only 37,000 Arabs as the aggregate of non-Jewish immigrants in Palestine since 1917—hardly more than had come from one district of Syria in less than one year alone. Some British administrators complained about the laxness toward Arab immigration, but to little avail. The author devotes sixteen pages to the memoranda sent in the latter part of 1937 by the British consul in Damascus, Colonel Gilbert MacKereth, in which he urges a more effective patrolling of Palestine’s borders. MacKereth failed in this because British concern with immigration remained always focused on the Jews. What took hundreds of thousands of Arabs to Palestine? Economic opportunity. The Zionists brought the skills and resources of Europe. Like other Europeans settling scarcely populated areas in recent times—in Australia, Southern Africa, or the American West—the Jews in Palestine initiated economic activities that created jobs and wealth on a level far beyond that of the indigenous peoples. In response, large numbers of Arabs moved toward the settlers to find employment. The conventional picture has it that Jewish immigrants bought up Arab properties, forcing the former owners into unemployment. Miss Peters argues exactly the contrary, that the Jews created new opportunities, which attracted emigrants from distant places. To the extent that there was unemployment among the Arabs, it was mostly among the recent arrivals. This reversal of the usual interpretation implies a wholly different way of seeing the Arab position in Mandatory Palestine. As C. S.Jarvis, governor of the Sinai in 1923-36, [DP: this corrects the 1984 text, which wrongly ascribed the following quote to Winston Churchill] observed, “It is very difficult to make a case out for the misery of the Arabs if at the same time their compatriots from adjoining states could not be kept from going in to share that misery.” The data unearthed by Joan Peters indicate that Arabs benefited economically so much by the presence of Jewish settlers from Europe that they traveled hundreds of miles to get closer to them. In turn, this explains why the definition of a refugee from Palestine in 1948 is a person who lived there for just two years: because many Arab residents in 1948 had immigrated so recently. The usual definition would have cut out a substantial portion of the persons who later claimed to be refugees from Palestine. Many secular, self hating Jews came against Joan Peters’ work. They accused her of rewriting history, and the irony there is beyond belief. These liberal, politically correct journalists are certainly the ones guilty of rewriting history. As a Jew, I am stunned at the number of Jewish people who have harmed Israel with their lies. I cannot comprehend their motivation in hurting their own people. We see many of these people in our society. George Soros is a self hating Jew. Rahm Emanuel is another example of a Jewish person who has turned on his own people. Perhaps they look at history and see the continual persecution and slaughter of the Jews, and they have decided to distance themselves from their own people. Maybe, in their quest to get ahead in politics, they see their strategy as a way to avoid controversy. Only God knows what makes these people do what they do, but I believe that the common thread is that these are secular Jews. Many of them do not believe in the existence of God. If you go back through the last six years, you will see that Obama surrounded himself with secular self hating Jews in his administration. Much of the Jewish vote for the Democrats comes from these secular Jews. Unfortunately, most Jews, unless they are Orthodox, are Jewish by birth, but do not look to God for anything in their lives, nor do they believe the words in the Bible to be true. Many of Israel’s leaders have failed miserably, mostly because they strove for peace at any cost. The Arab League saw in the Palestinian people, a way to finally attempt to annihilate Israel. They would push the narrative that the poor Palestinians had been misplaced by the unjust UN decision to declare the land of Israel the official Jewish homeland. They have been supported for decades by the main stream media – worldwide, continually placing Israel in the role of aggressor, and making the Palestinians into poor displaced refugees. Now the UN is on the verge of enforcing a two state resolution. Netanyahu is a true leader. He is speaking out against Hamas and against the ludicrous talks between America and Iran. Netanyahu is trying to make the world understand that Abbas and others in his government will not acknowledge Israel’s right to exist. How is a country to make a treaty with someone who does not believe they have a right to exist? I pray that this article makes its way to so many people who do not know the truth about Israel and the so-called Palestinians. I also pray that many will pick up From Time Immemorial, and read for themselves the truth. May God bless Israel. I know that incredibly hard times are ahead for her. But Israel is God’s own people, and He is always in control.